Anyone else feel like time is collapsing? 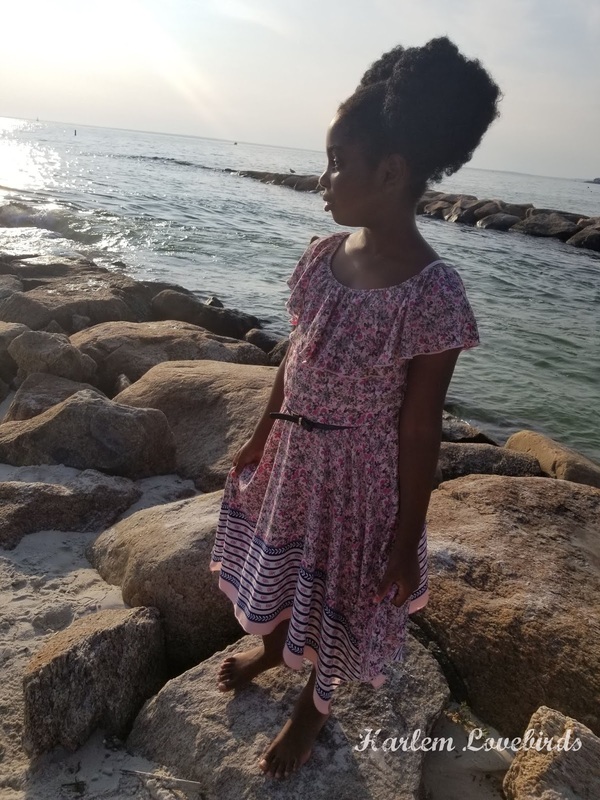 I certainly do and wanted to take a step back and share how we celebrated Nia's 8th birthday last month. This was her first year requesting an indoor birthday, and out of all her eight birthday parties it was also the only year that it has rained. 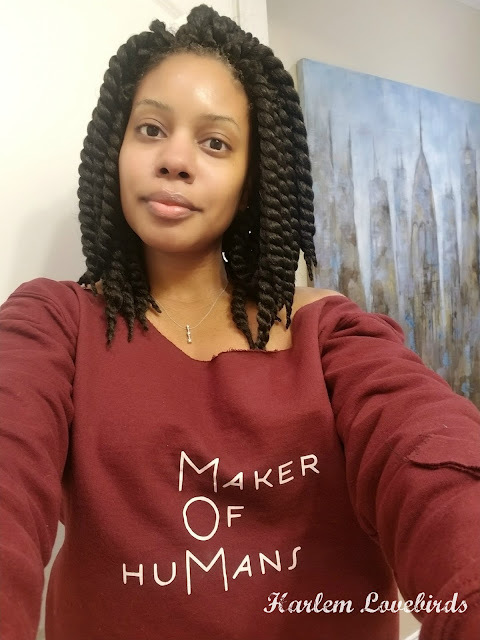 Good call, Miss Nia! 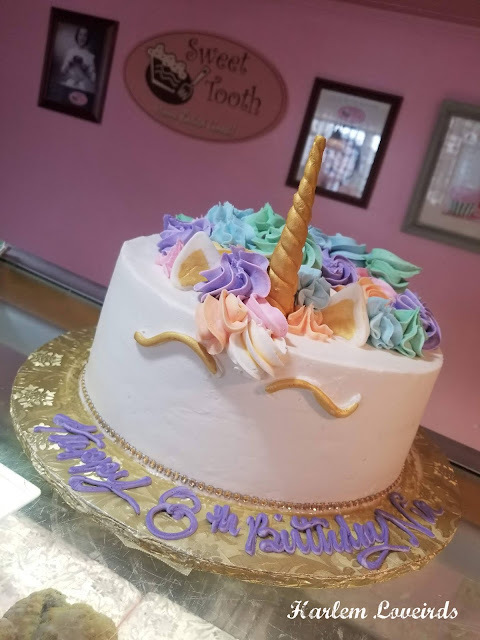 Unicorn cakes are ubiquitous across my social media feeds, and I'll admit I was nervous about how it might taste, but I read a round-up of the best children's birthday cakes in Boston and went with Sweet Tooth Boston, not only because of their tagline, "Our cakes taste as good as they look," but also because I liked their commitment to diversity and collaboration as the co-owners are a black and white man. 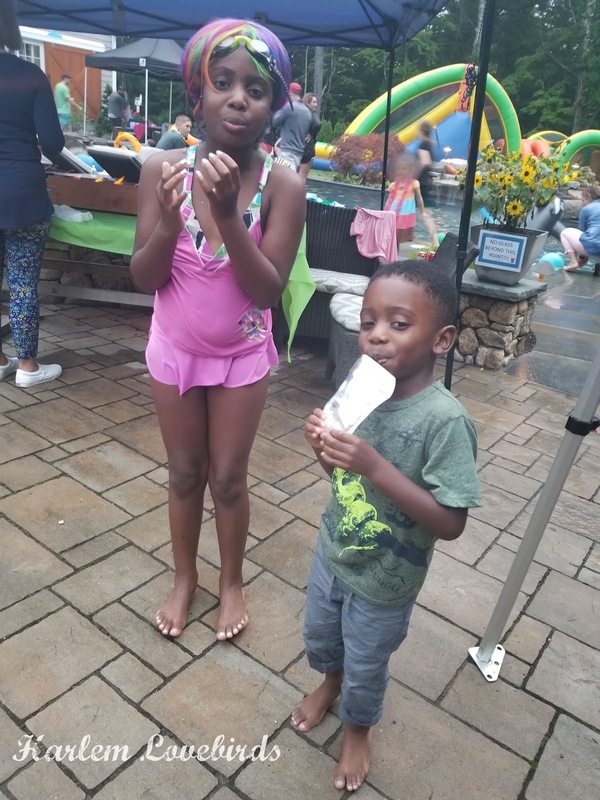 Yes, conscious consumerism goes all the way down to my kids' birthday parties! 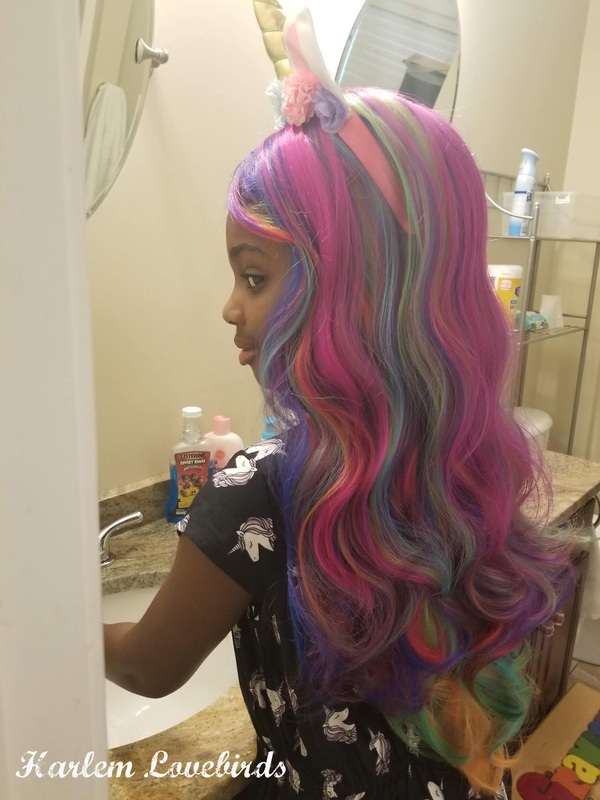 Nia was on a quest for weeks to get a rainbow wig for her party! 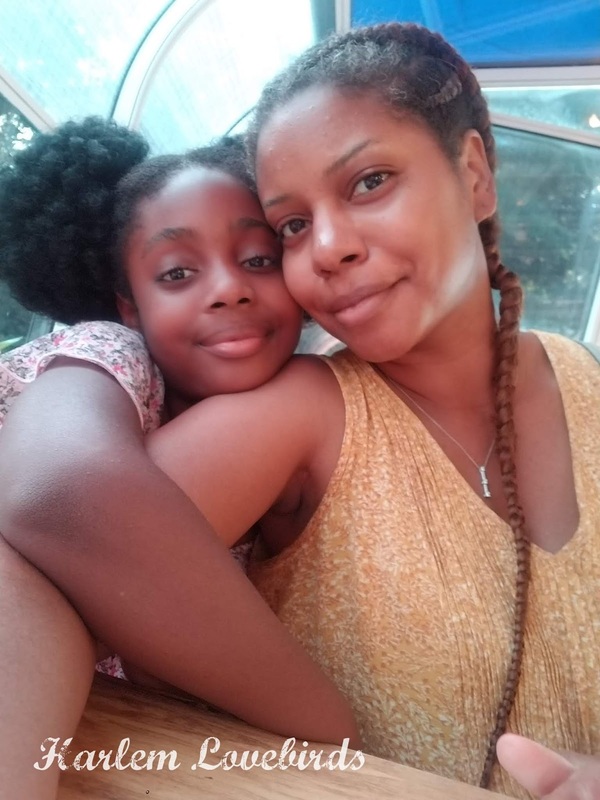 My sister Lauren came up from NYC to visit and lend a hand during Nia's birthday and she was a pro at getting Nia dolled up for her party as well as wrangling the kids. I debated making slime, but took the easy route and picked up a few kits on sale at A.C. Moore and set up a few stations on our folding tables. The kids were great at reading the instructions and making a few messes, but it wasn't anything that a few wipes couldn't clean up! 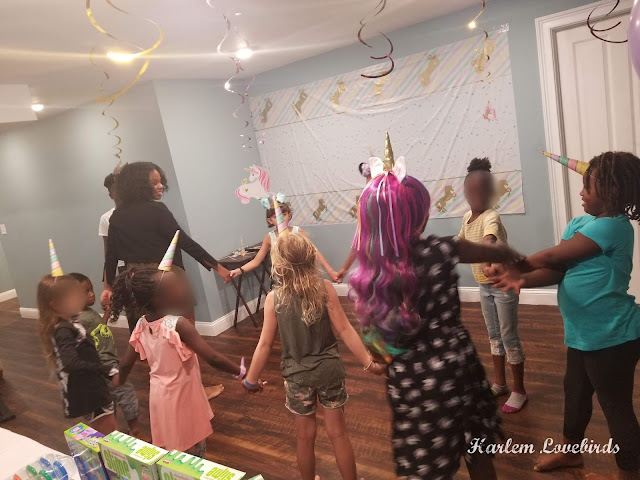 We also had a makeshift unicorn themed photo booth using a table cloth as a backdrop, and the kids enjoyed pizza before indulging in cake which really did taste as good as it looked. 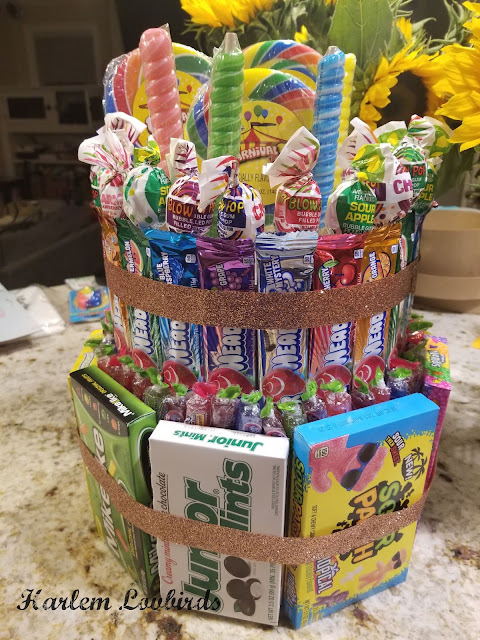 In place of goodie bags, I made a candy tower I saw in this video and it turned out really well. The kids saw it at the beginning of the party and knew at the end they'd be allowed to take pieces home. I also set the rule that if they grabbed a big box of candy they'd have to share so I set out baggies to split them up. Of course it was sugar overload but much better than taking home plastic junk and it was more cost-efficient too! Afterwards we made our way back up to New Hampshire to visit old friends at their epic annual luau party. The kids often tell me how much they miss living there so it was a good mini-reunion for them and they ran themselves ragged between the pool and trampoline falling asleep hard on the way home.